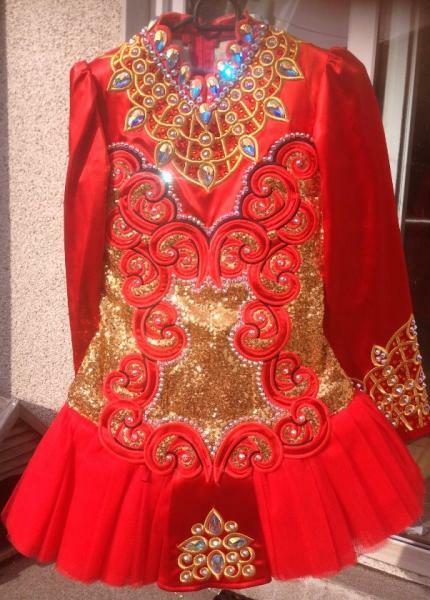 dance.net - Stunning Siopa Rince dress suit age 14-18 years depending on the height of dancer (10242699) - Read article: Ballet, Jazz, Modern, Hip Hop, Tap, Irish, Disco, Twirling, Cheer: Photos, Chat, Games, Jobs, Events! 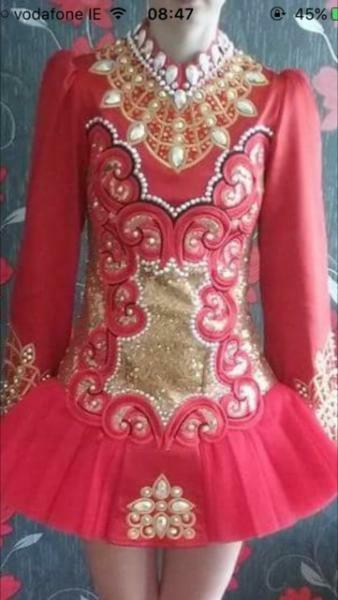 This absolute outstanding Siopa Rince dress would suit age 14-18 years depending on the height of the dancer, currently worn by under 18 year Open Championship level dancer, in immaculate condition throughout, no makeup, no tan and no odour. 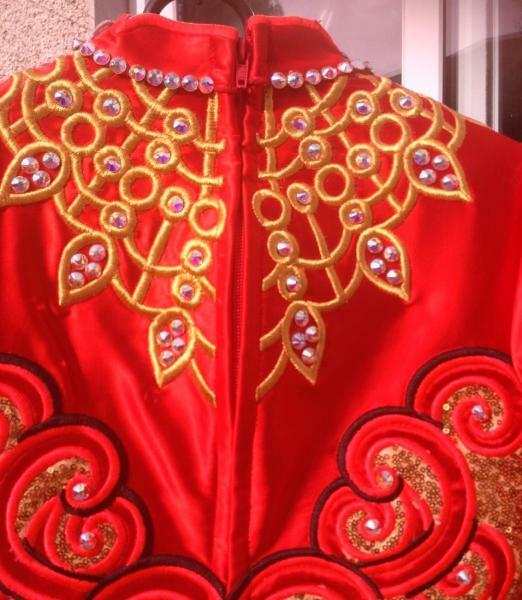 Dancer was about 5ft 2 inches when fitted and am reluctant to selling due to massive growth spurt. 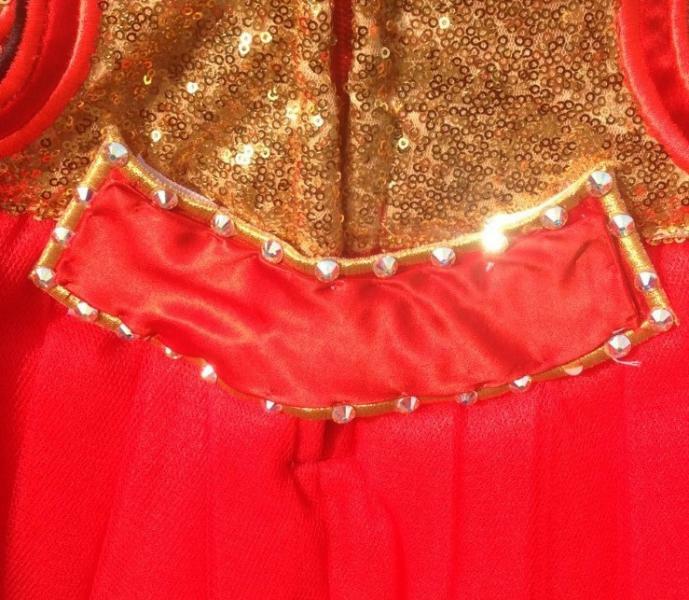 It is made of Red twilight Satin top and sleeves with gold sequined Bodice, with Gold embroidery on the neckline, and Red and Black embroidery down the front of the bodice and Gold at the end of the sleeves to match and full large teardrop Red collar, also with tulle style skirt. This dress is lined in white cotton with a small sash. 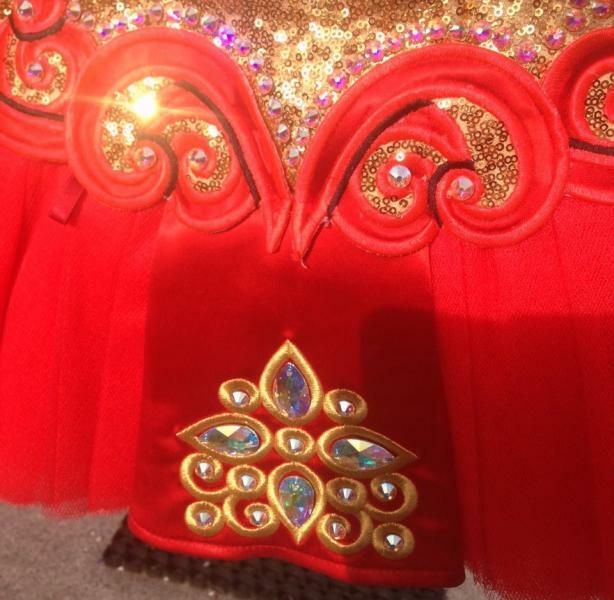 The underskirt is Gold satin. It has outstanding stage presence very flowy/movement. 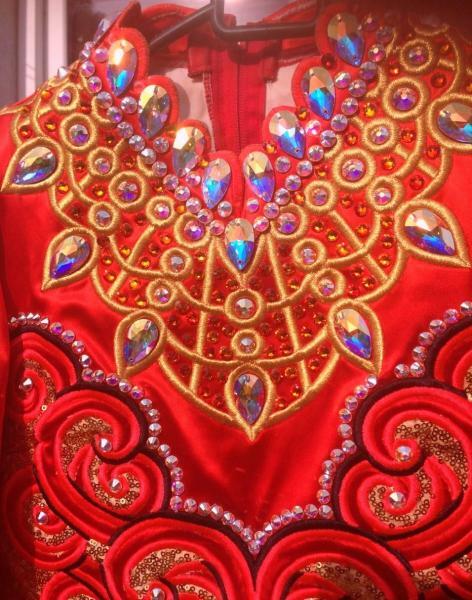 Many compliments on this gorgeous dress, It has genuine Swarovski ab crystals, ss40 and large teardrops all Abs and red crystals on the neck cover this whole dress. Comes from a pet and smoke free home. 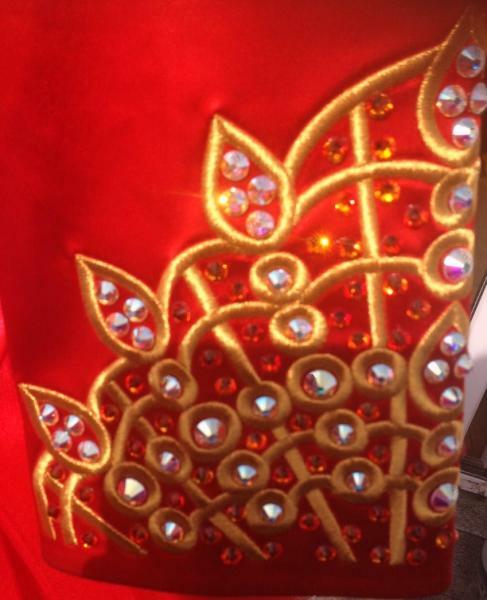 Also Comes with Gold kick pants. 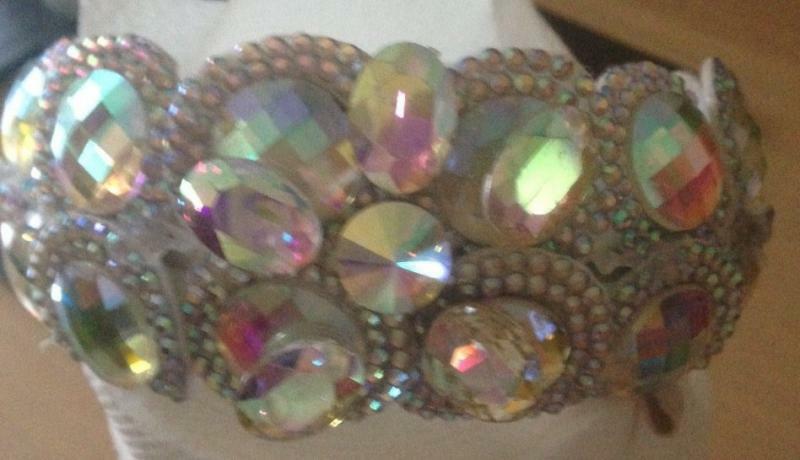 And Camilla Rose ab Headband with elastic to pin to wig. Located in Wicklow Ireland will post world wide which is extra. Also Courier next day whole of lreland. 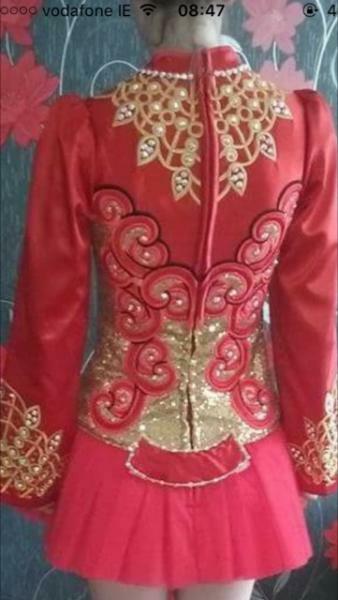 Price is €900 o.n.o. Sale is Final. email jeanette6711@gmail.com for further information thanks Will met in Dublin within a certain distance.